This fall I will be teaching a course on printing history. This post is really just a set of bookmarks for me–especially for the early weeks on Gutenberg and the early printing. Despite my desire to do so this semester, the nature of the course doesn’t allow extensive field trips, so hands-on experience will unfortunately be limited. Nevertheless, thanks to the attached videos, students will have some sense to how these machines worked and the tedious work required to spawn this “revolution.” These will be on interest, I think, to anyone teaching or learning about book history or print culture. Fry’s investigation combines the archival sleuthing of a historian and the experiential, hands-on challenges of an artist. He travels to France and Germany, following the trail of Johannes Gutenberg (painted as artist, inventor, and entrepreneur) and his medieval world. 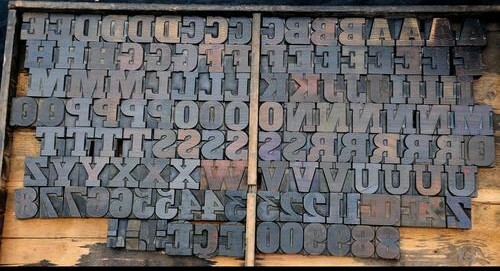 In the process, he learns how paper was made in the 15th century and visits a metal foundry (working with printer and historian Stan Nelson) to make his own type (in his case, the letter “e”, which is an exact replica of those used in the Gutenberg Bible). Only ink-making is excluded from the process. It is a wonderful journey that shows us all the value of such a journey for our own studies . . . and the value of getting your hands dirty. 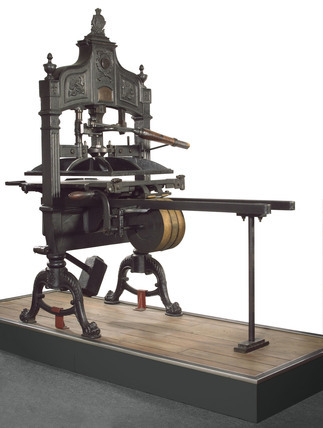 Of course, for this course, Gutenberg and his press is just one area/era of study. 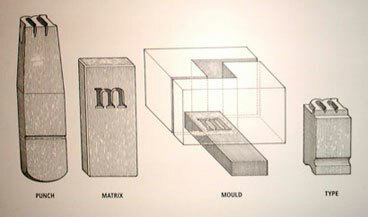 We will move through wood blocks and moveable type to lithography, off-set printing, screen printing to xerography, inkjet, laser jet and 3D printing. In other classes, I like students to “play” or work with these technologies, to see how they work and how they are put together. This is vital to not only understand the innovations and styles of past artists and thinkers but also in moving forward with students’ own experiments (and their investment in the material itself). Working with each of these tools shows students how new technologies built upon previous modes and models. This is my approach to teaching multi-modal composition and Digital Humanities. I know that, despite being well-versed on their phones & social media, students are often intimidated by digital tools (and technology in general). And I like to encourage students to start small. 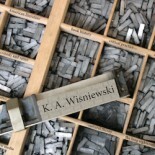 Although students might giggle at the dated 1940s and 50s series on printing (and there are dozens of related films to choose from), the films often still serve as good introductions (to these dated or out-moded technologies) and, in this case, offer a good general sense of–a clearer look into–the processes involved in printing, etc. Keeping in mind they are the product of 1950s America’s consensus culture and education system, I do enjoy watching these educational videos produced by Hollywood’s Bailey Films. In some respects, they were ahead of the curve. This is a great set of videos! I’m bookmarking a few myself! I loved the BBC documentary with Stephen Fry! I bet this was a fun class…Thanks for posting! This entry was posted on August 11, 2016 by k.a.wisniewski in Art, Films, pedagogy, Printing History, Teaching, Work Report / Progress and tagged pedagogy, Printing, Printing History, videos.